Here's the Carzone.ie guide to buying a used Toyota RAV4. Toyota’s RAV4 could claim to be one of the world’s first crossovers, pre-dating the Nissan Qashqai by a full 12 years and starting a trend for affordable 4x4s that, in some instances, were not four-wheel drive at all. About to enter is fifth generation, the outgoing fourth-generation car proved popular during its life, thanks to the traditional Toyota values of reliability and good fuel economy, and it competes in an ever-burgeoning C-segment crossover/SUV class. Originally launched in 2012, the RAV4 came with a choice of 2.0-litre or 2.2-litre D-4D diesel engines and the option of either front- or four-wheel drive (the latter with the bigger engine only). In 2016, a substantial visual facelift of the car saw the newer, cleaner 2.0-litre D-4D replace the 2.2-litre unit entirely, while Toyota brought in the Hybrid model. This pairs a 2.5-litre petrol engine with moderate electrical assistance of at least 105kW (one front electric motor on front-wheel-drive models), while the all-wheel-drive Hybrid had a second, 50kW motor on the rear axle. 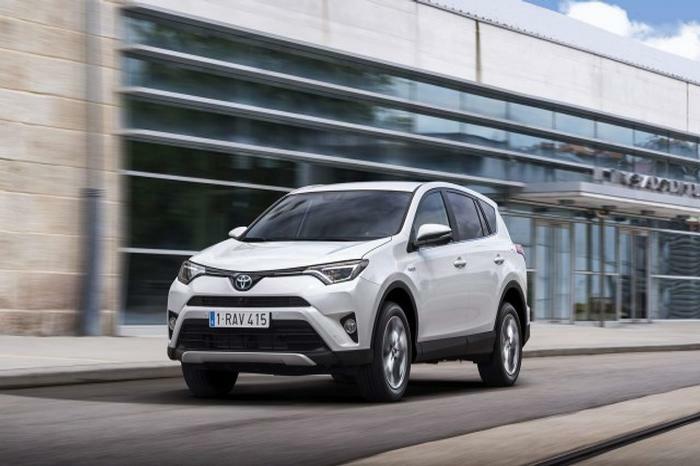 Outright power of the Hybrid, whether two- or four-wheel drive, was 197hp – making it the most powerful RAV4 yet launched – with fuel consumption as low as 4.9 litres/100km with 115g/km of CO2 emissions. Drive was through a continuously variable transmission (CVT), which is best used at lower revs only. Trim grades for the Toyota RAV4 in Ireland ran Luna, Luna Sport, Sol and then Platinum, with a decent level of specification on all cars. While the Hybrid looks tempting on paper, its driving experience is poor, so the diesel (which is actually more economical over long journeys) is better. Pick one of the later 2.0-litre D-4D models, which comes with front-wheel drive and a six-speed manual gearbox. Sol specification should give you a well-loaded and amenable crossover-SUV, for a reasonable second-hand price. The Toyota RAV4 Mk4 is a perfectly acceptable mid-sized crossover, with unimpeachable reliability, some economical drivetrains that are cheap to run in terms of their tax implications, and plenty of space within. It’s by no means the most exciting thing in its class, though, and C-segment crossovers are rarely exciting at the best of times, so that should give you an idea of the Toyota’s staid character; earlier models of RAV4 were funkier and more youthful than this one. However, steer clear of the lacklustre Hybrid model and you’ll have a solid, dependable family machine that should serve you well for many years to come.